Sharing is universal. Minus was created to make sharing pictures, documents, music, videos and files simple, instant, and free. Snap, brought to you by Exclaim, gives you instant access to all your photos from over 16 different social media and photo sharing sites. View, autobackup, upload, voice and video tweet, check-in, or print directly to any Walgreens near you. iPhone and Android apps coming soon! Integration expected to be live by Oct 31st. To learn more, visit Exclaim.com. The Fotobabble iPhone App lets you quickly create and easily add your voice to photos and instantaneously share those Talking Photos with friends. iLoader is the most popular Facebook photos and video uploader for iPhone/iPod/iPad. It saves you time by batch uploading multiple photos and videos! Do you do a killer impression? With Bobodidit Worldwide's iPhone app, LipMe, you can pay homage to, or poke fun at anyone from your best friend to the president by recording and sharing your own funny impersonation! Download their iPhone app now! picplz makes photo sharing easy with free iPhone and android apps. You can take a picture and share your life instantly, and it's simple to add a caption, tag your location and check-in. You can even apply great looking photo filters for an extra flair. "We are very excited to integrate the Aviary mobile SDK into the picplz Android and iPhone apps. 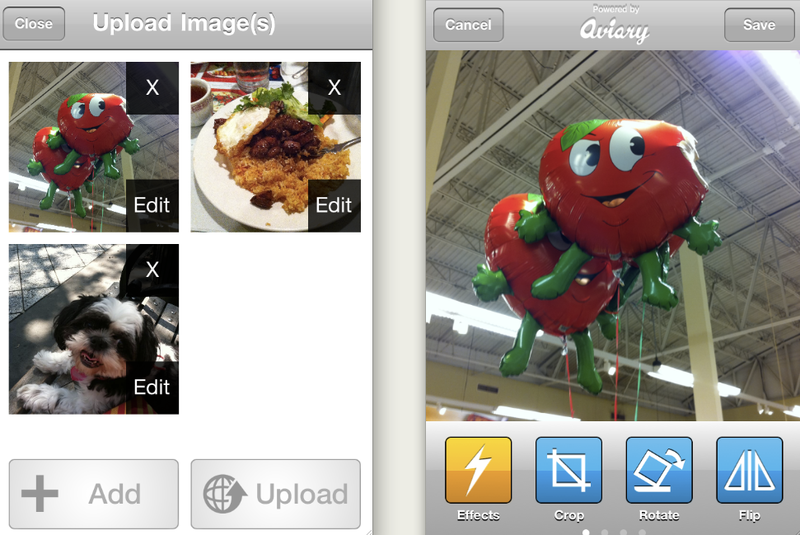 Our users have been asking for photo editing capabilities and the Aviary mobile SDK allows us to deliver exactly that. The Aviary mobile SDK has a beautiful, easy to use interface that will fit wonderfully within the picplz apps. OpenPhoto is the digital equivalent of shoe-boxes filled with photos. Except they're backed up to make sure you never lose them, and portable so you can do whatever you want to them, wherever you go. Did we mention it's free and open source too? OpenPhoto iPhone app expected to be live by Sep 30th. inQuicity is where content lives! inQuicity's iPhone app provides the only multidimensional view of the most interesting people, places and events around you. We let you peel back time and walk into history, genuinely enhancing your experience of the city. Fashism's iPhone app allows you to get feedback on your outfits--anytime, anywhere. Whether in the dressing room or at home, just snap a photo, post it, and get fast results from a worldwide community of fashion obsessed friends. kapturem allows you to share pictures and have fun with it! Comment and rate content, complete challenges, follow friends, and more. You are rewarded points by sharing content, enabling you to gain notoriety in the kapturem community. Pictour will allow you to discover and share travel experiences, in the palm of your hand! Their iPhone app is still in development, but you can sign up here to be an early beta tester! Schoology is an easy-to-use, easy-to-implement online learning, classroom management, and social networking platform that enhances student engagement and improves learning through better communication, collaboration, and increased access to curriculum and supplemental content. iSocialize is simply the best app to update your Facebook, Twitter, MMS, SMS, and e-mail all in the same place! "The seamless integration of Aviary solutions will enable iSocialize users to enjoy, directly in the app, a plethora of sophisticated editing tools to enhance and beautify pictures one step before sharing them on social networks. Snapette is the new social destination for fashion lovers on the go. Browse and share photos of amazing shoes, bags, + more, from around the corner, or around the world! Tracks is a new mobile app that lets you make stories through photos together. Invite friends and family and have them add photos to your track. 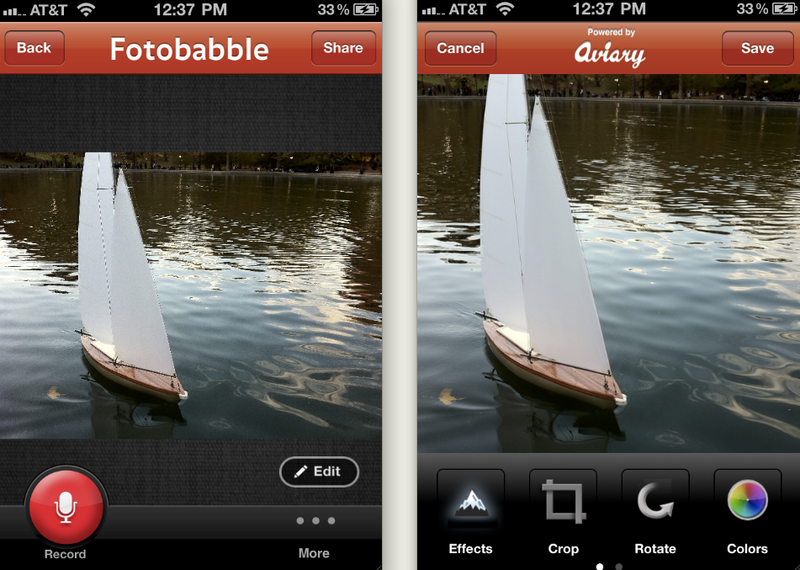 Pixable is a beautiful iPhone app that finds the top photos shared by your friends on Facebook. Pixable ranks photos based on likes, comments, tags, and dozens of other variables to bring you the best of what's being shared in your network. Build your inner circle and connect with those that matter most! 20@ is a fresh direction in social networking. Their free iPhone app makes communicating with your most valued contacts simple and efficient. Getaround is a social car sharing service. Their iPhone app enables car owners to safely rent out their underutilized cars to a community of trusted drivers. People in need of a car can rent one by the hour! With over 750,000 downloads and counting, PicCollage is proving to be one of the best and simple ways to create collages with your Facebook and iPhone photos. A fun + simple way to talk and play with 'piics'. Show and tell for people who love to cook! Yumalicious is perfect for people who can turn simple ingredients into flavorful homemade creations. Great food and drinks are meant to be shared, so, like the saying goes, if you've got it, flaunt it! TwitrPix for iOS is the fastest and easiest way to capture, enhance and share beautiful mobile photos. PicLyf is a social picture journal that lets you easily add layers of info to your photos! Their iPhone app is expected to be live and integrated by Sep 24th. Waddle is a mobile photo journaling app for groups of friends to connect and conversationally capture memories in a fun and meaningful way. Whiteboard is a collaborative drawing tool that allows multiple devices to create pictures together. It supports collaboration over local Wi-Fi or Bluetooth, as well as the Internet. It's simple, incredible fun for family and friends to doodle together. MyPics is an application to view and manage your Picasa web albums. If you have multiple Picasa accounts, you can add them all to MyPics, and have access to all of them from a single app! Want to view your friends' photos or videos? No problem! Snapr allows you to broadcast your favorite moments, track the places you visit, and record the things you see. BffMedia is the brains behing BffPhoto, an Android app that allows you to do everything you want to do with your Facebook Photos - create albums on the fly, tag photos, browse, and share. Capture the Flag let's you team up with your friends, find cool places, share photos, capture spots, and even get deals! Collect and manage EVERY photo taken at your wedding, automatically. You know tons. Make and share guides with ease. Interested in adding our Mobile SDK into your app? Visit developers.aviary.com/mobile to instantly inject photo FUNctionality straight into your app's workflow.